The DVD release date of “Transformers: Age of Extinction” will be here in less than two hours, Eastern Standard Time. I believe that movie coming out on DVD, along with a hail of fire and the oceans turning to blood, is one of the signs of the Apocalypse cited in the Book of Revelation. Beware. Anyway, film reviewer Roy Sexton of Reel Roy Reviews has generously allowed me to run his review from the movie’s original theatrical release here. Should you be tempted to rent it … well, consider this a public service announcement. 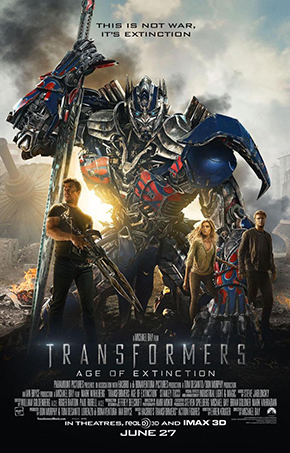 Read the rest here: Transformers: Age of Extinction Review. « Older Post The music of Tom Lehrer – Penny Seats “Tomfoolery” cabaret opens this Thursday, October 2	» Newer Post Great energy, wonderful audience, and many laughs (some intentional, some accidental). Tomfoolery’s sold out opening night!